← Is DAP happy to ‘kill off’ PSM’s Jeyakumar? COMMENT | This is not a new issue. 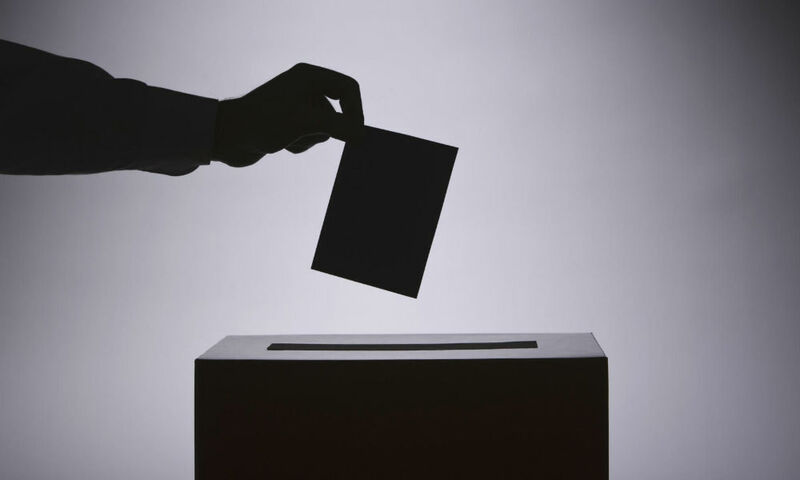 It has been bandied about many times and not surprisingly, the “one candidate, one seat” proposal is being debated again on the eve of the 14th general election. We have heard of the intense infighting among component parties from both sides over seats. In some cases, anger had flared during meetings over seat negotiations and such outbursts were widely reported. And we all know why such ugly episodes occur again and again. There are just not enough seats to go around. Too many new wannabe candidates emerge at the dawn of every election, eyeing almost the same number of seats available. There are only a total of 222 parliamentary and 505 state assembly seats up for grab in GE14 – that is going by the electoral rolls used in GE13. Exclude Sarawak’s 71 state seats as the Hornbill State holds its state polls separately. However, we can expect some additional seats once the new redelineation exercise gets through the current sitting of Parliament. BN has a total of 13 component parties, Pakatan Harapan has four. Add in PAS, PSM, PCM and the other splinter parties in the peninsula, either pro-BN or pro-Harapan, and we can easily round up the total number to 25. Over in Sabah and Sarawak, there are easily more than 10 opposition parties that are likely to field candidates in GE14. 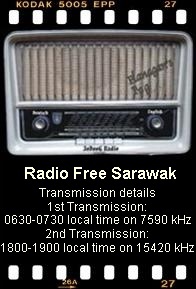 Except for PBDS Baru, the smaller opposition parties in Sarawak have been pretty quiet up to now. Perhaps they are exhausted after having failed in many previous elections or they could be quietly strategising on the best moves to partake in GE14. But the same cannot be said of their counterparts in Sabah. The opposition there is in one hell of a mess. There are just too many generals within the opposition camp. Too many parties are forming too many pacts, each trying to outdo each other. I’ve said in a previous article that Sabah is the opposition’s to lose. Now, I think there is very little chance of an upset, not with the fragmented opposition that we see in the state today. On the “one candidate, one seat” proposal, I can recall that it was the late DAP chairperson Karpal Singh who spoke up aloud for it. He even took it before the party’s CEC in 2012 and it was later confirmed that the DAP adopted the proposal but it was not fully implemented. 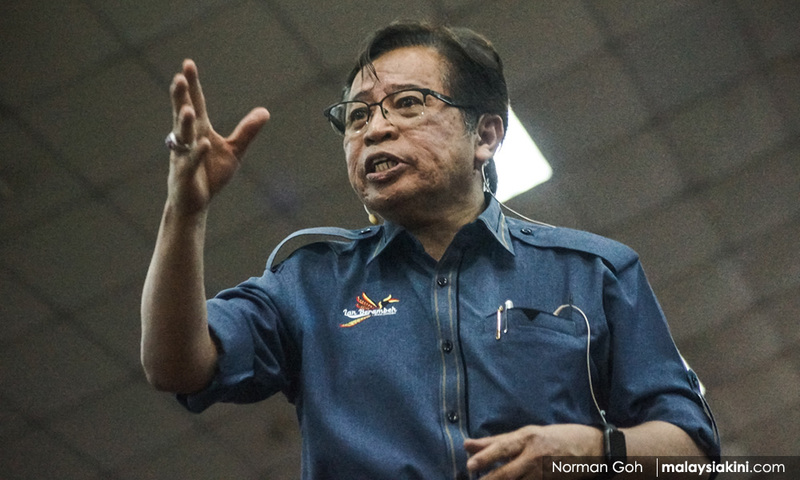 Last month, Sarawak Chief Minister and PBB president Abang Johari Openg (photo) announced that no one in PBB who is already an elected state rep will be contesting a parliamentary seat. Abang Jo and PBB are aware that there are just not enough seats for so many qualified candidates in the party. So they have to share and make many happy. A very wise decision by PBB indeed! Let’s now take a look at the other parties. Pakatan Harapan leaders should take note that there was overwhelming support for the “single seat” policy as indicated in a poll conducted by Free Malaysia Today before GE13. More than 80 percent of those polled supported the proposal. PAS president Abdul Hadi Awang, PKR president Dr Wan Azizah Wan Ismail, PKR deputy president Azmin Ali and DAP secretary-general Lim Guan Eng are among the key opposition figures holding dual seats. I don’t know much about the dynamics within PAS but so far, no one in the party had publicly said anything against Hadi for holding two seats. I suppose it’s an acceptable tradition within the Islamic party. Wan Azizah’s case is a unique and peculiar one. The “Kajang Move” of 2014, now accepted by PKR as a silly and miscalculated episode, propelled the reluctant politician into being the Kajang state representative after she won the by-election that year. Wan Azizah is also the MP for Permatang Pauh. I doubt the PKR president is keen to defend the Kajang state seat in GE14. She has no reason to, as she is Harapan’s candidate for deputy prime minister. 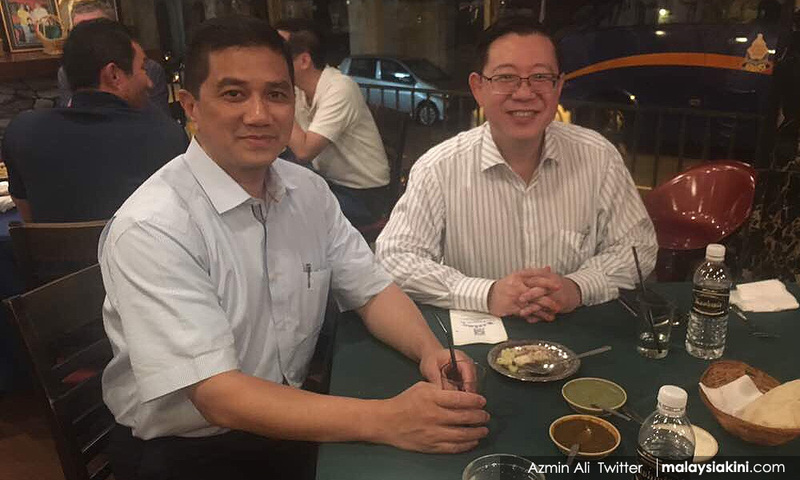 For Azmin and Guan Eng, it’s best that they decide what role they wish to play – whether at state or national level. They are already the chief executives of Selangor and Penang respectively. If they wish to continue as Selangor menteri besar and Penang chief minister, then run for their state seats only. They should give up their parliamentary seats for their party colleagues. That should make two other party leaders eagerly waiting to be given the chance to contest very happy. GE14 is not the time to be selfish and have the best of both worlds. Azmin and Guan Eng, as senior top leaders in their parties, must lead by example. They must remember that no one is indispensable. Learn to be grateful with one seat. There are many others without a seat. Be more unselfish. All the BN menteri besar and chief ministers are not MPs – they do not hold two seats. Their focus is clear – they are contented with their responsibilities and duties at the state-level. This is something right about BN. I doubt Harapan leaders like Muhyiddin Yassin or Mukhriz Mahathir will be contesting state seats in Johor or Kedah. They have been menteri besar before. Their focus is on national politics and they will leave the state seats to their party colleagues. This is the correct way to go. I hope the PKR and DAPs leaderships in particular will heed the people’s support for the “single seat” policy. To them, those going for two seats are just selfish and greedy. They want to have both sides of the cake to eat. If those eyeing two seats think that they are only ‘winnable’ candidates while others are raw and inexperienced, let me remind them to look at themselves in the past when they were also raw and inexperienced. They were given the opportunity to be candidates by their less selfish and less egoistic party leaders in years gone by and they should extend the same opportunity to others now. If they insist, then I say good luck and good riddance to them. I don’t think they will get my vote.